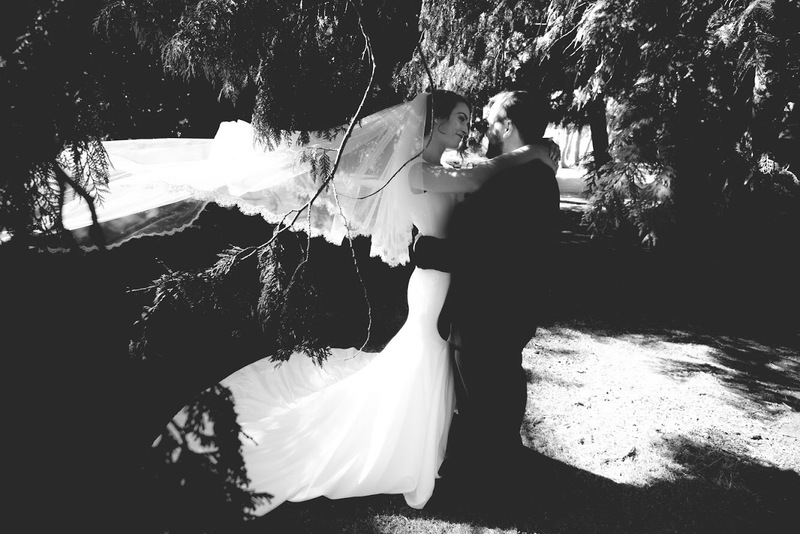 When it came to her dress, Jordan originally thought she wanted something with lace. 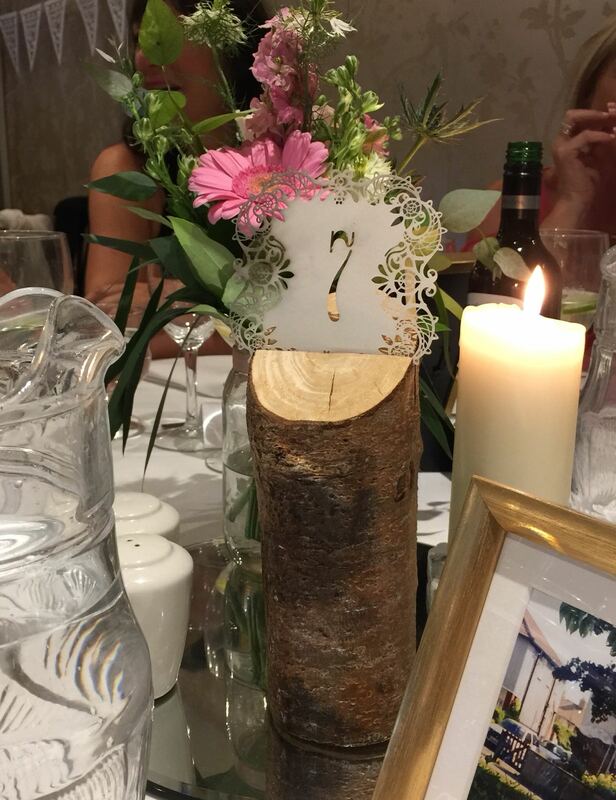 She was unsure about the shape. "All I knew was I definitely didn’t want a ball gown, I tried on a few lace dresses in La Bella Sposa. They were lovely dresses but there was just no spark, I didn’t feel like a bride. 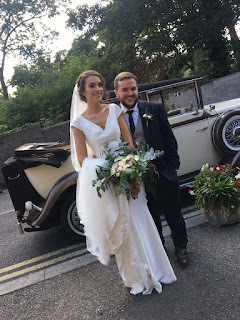 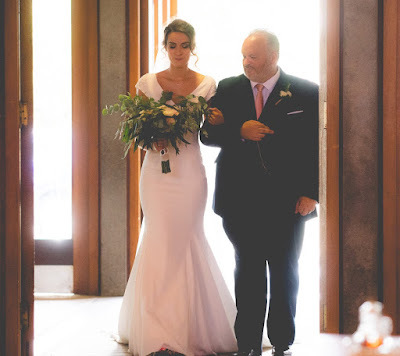 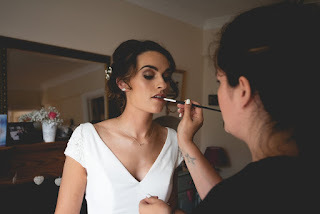 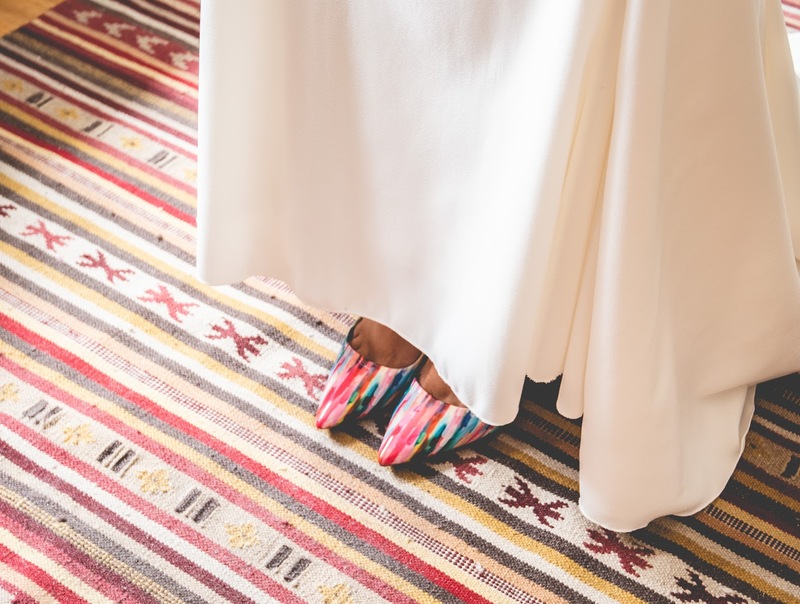 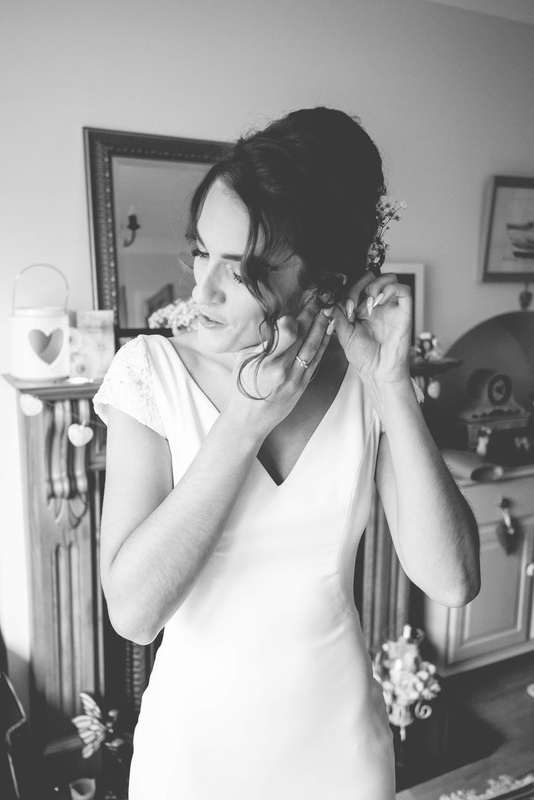 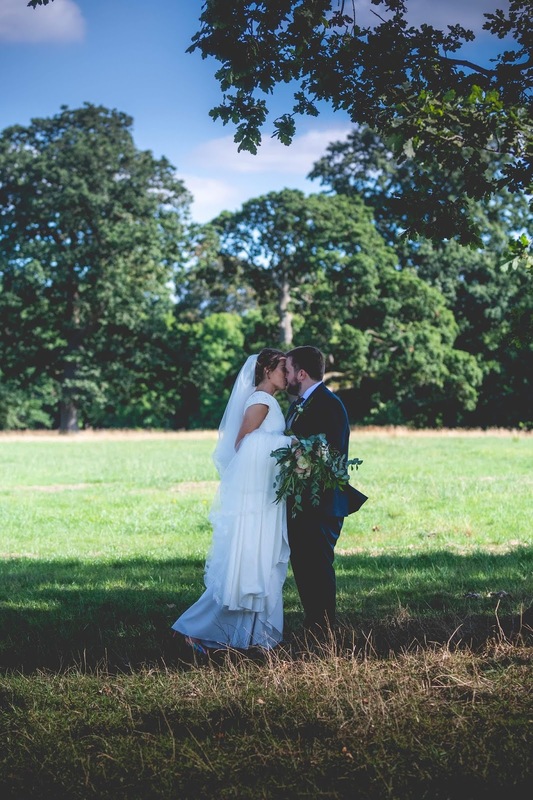 Then the magic happened, Aine the bridal consultant in La Bella Sposa suggested that Jordan try on the Fez dress by Pronovias it had just arrived the day before. 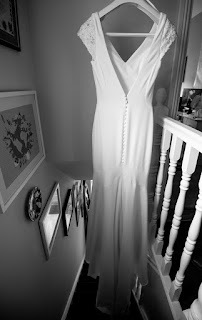 “The plastic was still on it, I tried it on and immediately fell in love with it. I loved the shape, the material, the details on the shoulders, everything! 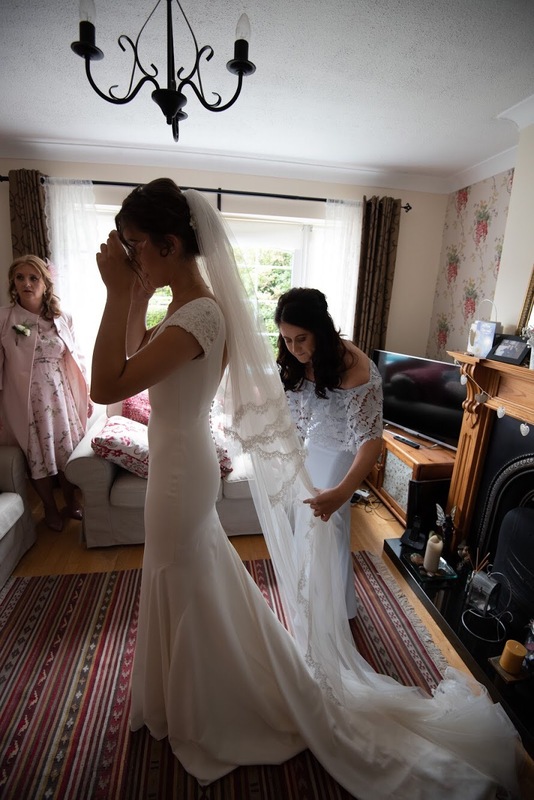 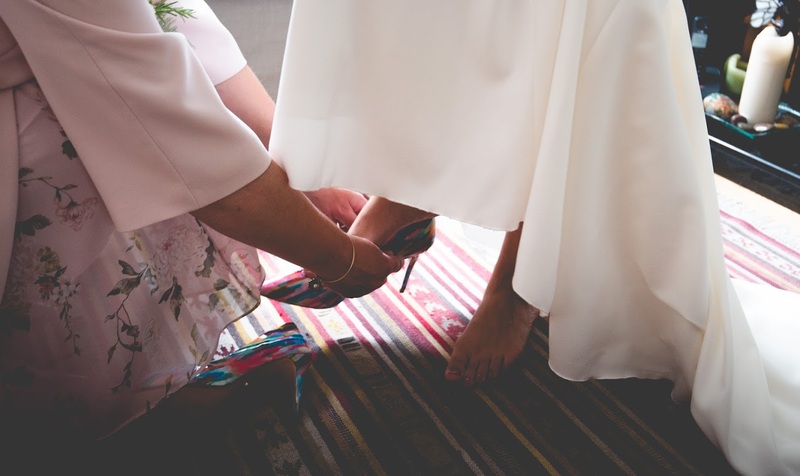 It’s true when they say you know, you just know"
This is why trust is a must when going wedding dress shopping, the bridal consultants know before you do what will suit you. Jordan and Stephen researched many different venues but they feel in love instantly with their chosen venue The Anglers Rest. 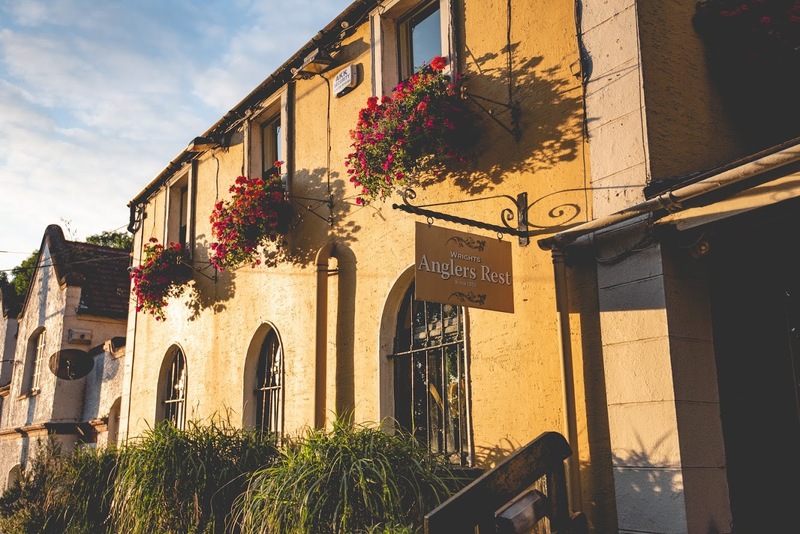 "The location of Anglers makes you feel like you’re miles away from the city, somewhere down the country when you’re really only 20 minutes away from Dublin City center and hearing the river Liffey flow by was magical also. 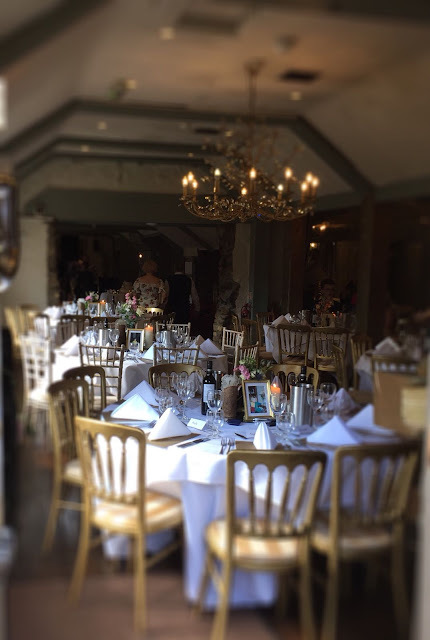 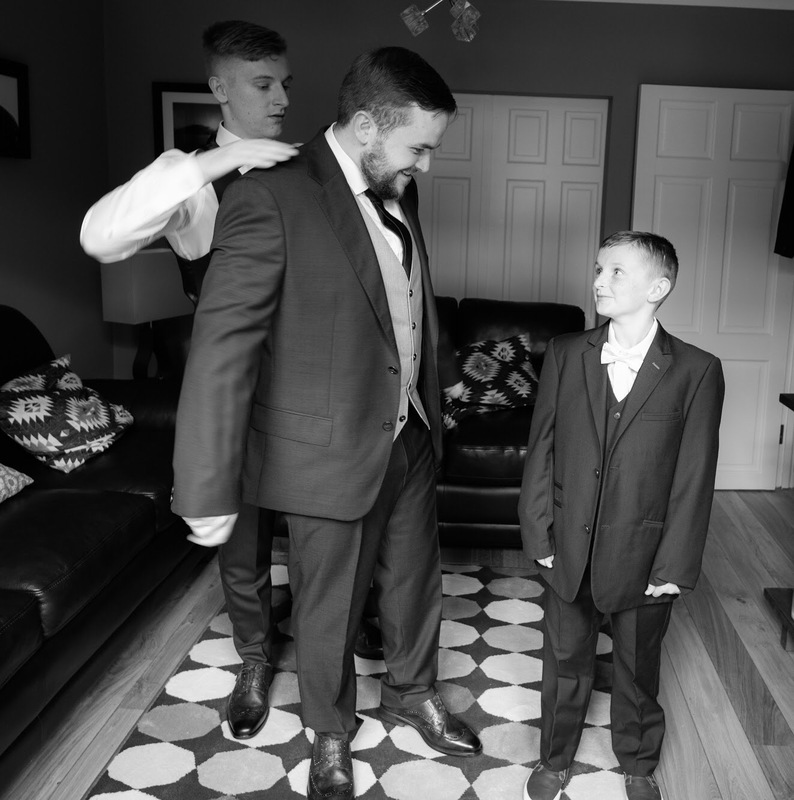 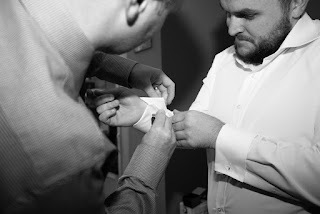 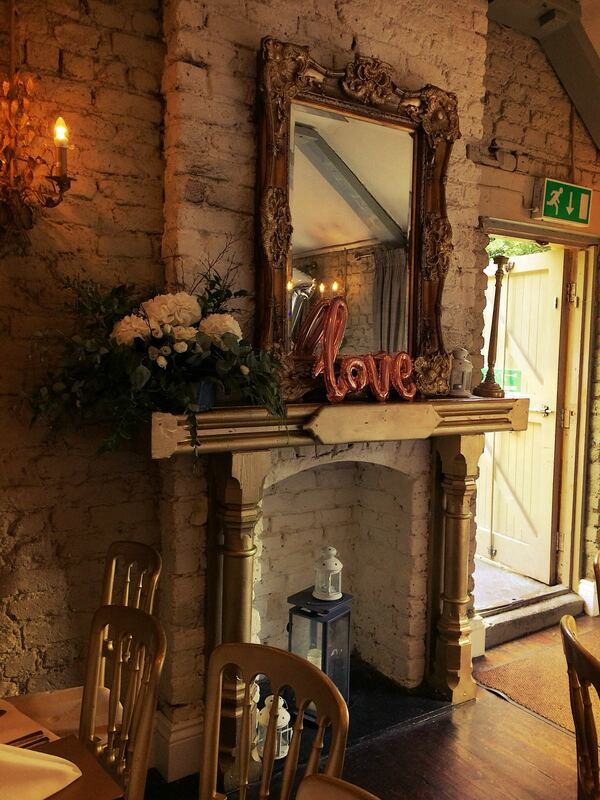 Jordan and Stephen wanted an intimate wedding with family and friends The Anglers Rest was perfect for that. 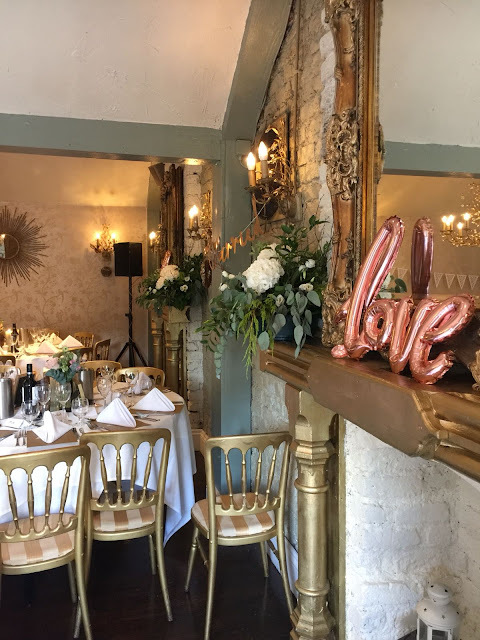 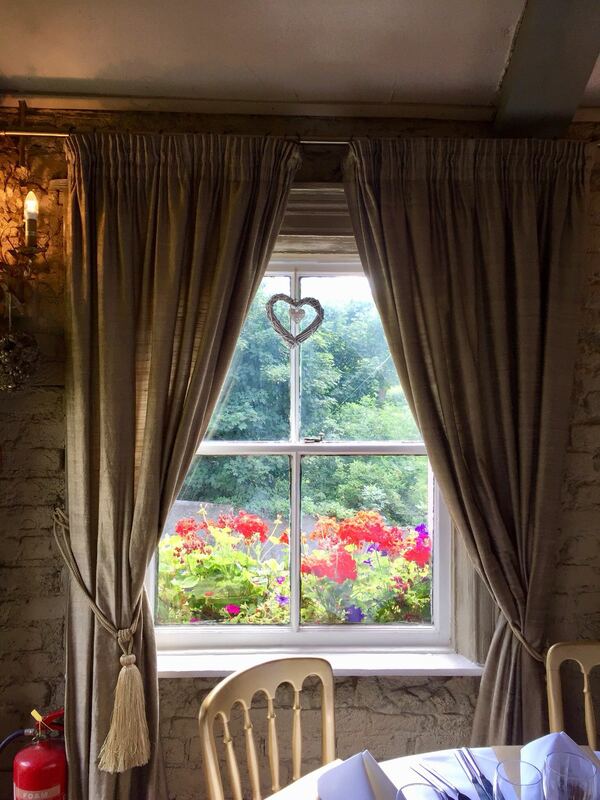 "It also fit in with our theme as it was rustic and vintage"
Of course food was extremely important and The Anglers Rest did not disappoint. Their guests had a choice for their starter, main and dessert and they were raving about the food afterwards. 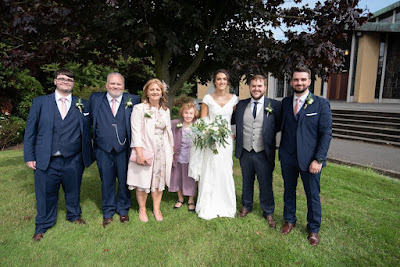 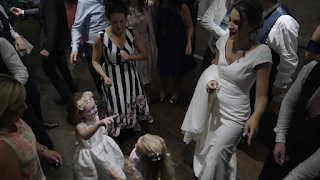 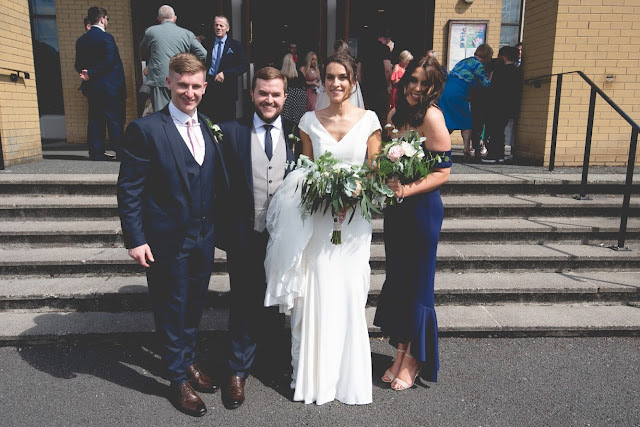 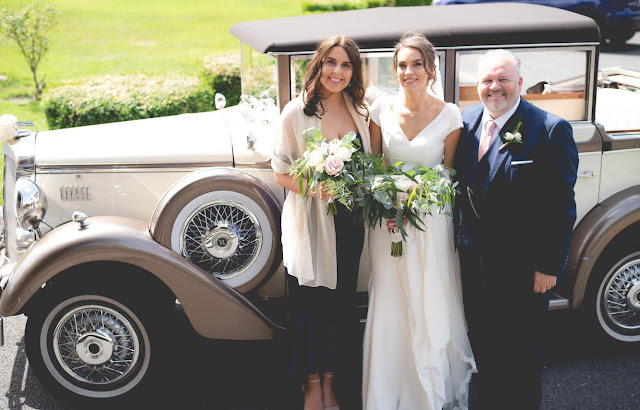 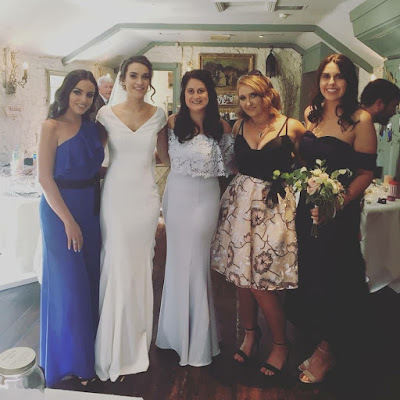 "The staff at Anglers were amazing, especially Alison our wedding coordinator, couldn’t have done it without her"
Jordan’s Nanny and her Family are also from Castleknock, so it was great for her Family to go back there and especially for family members who traveled from England. 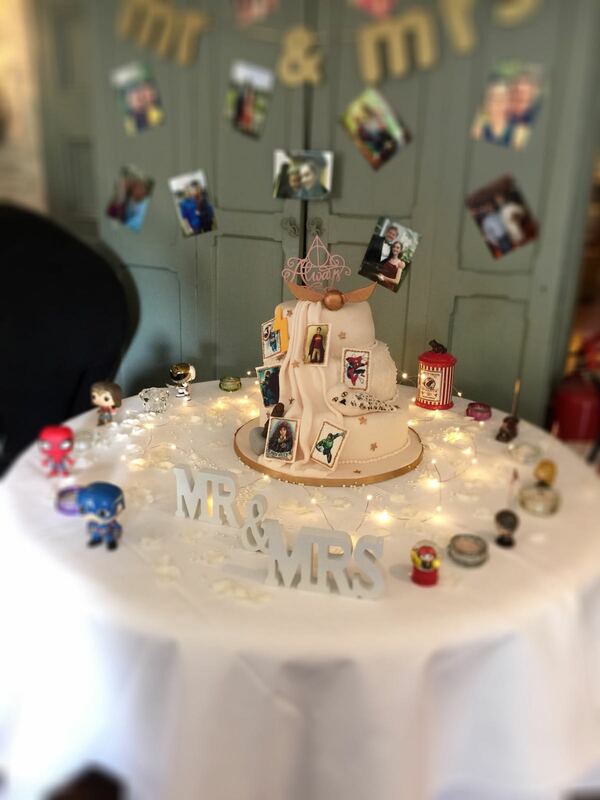 "The individual candles beside our unity candle were our baptismal candles"
"Our four fabulous friends from the OLV Gospel Choir sang and played piano for us at the Church"
"On each table at the venue we had a framed baby picture of each of us (on table 1 we had a photo of myself when I was 1 and Stephen when he was 1 etc ". 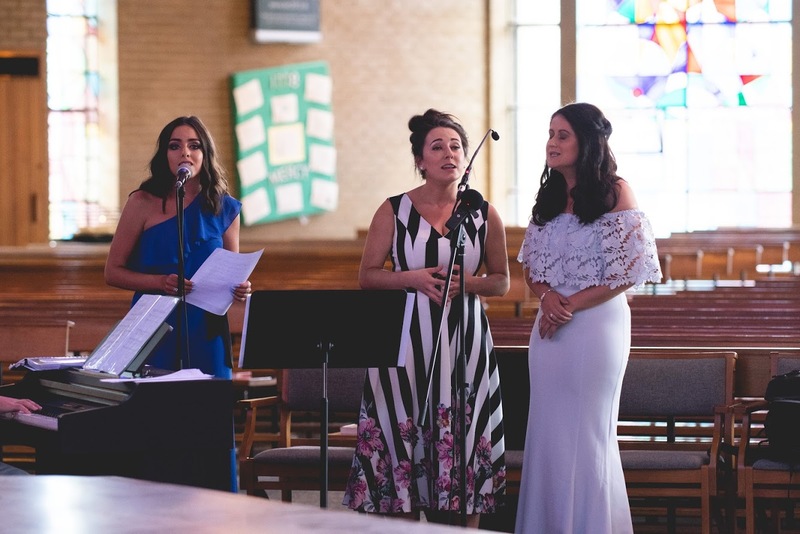 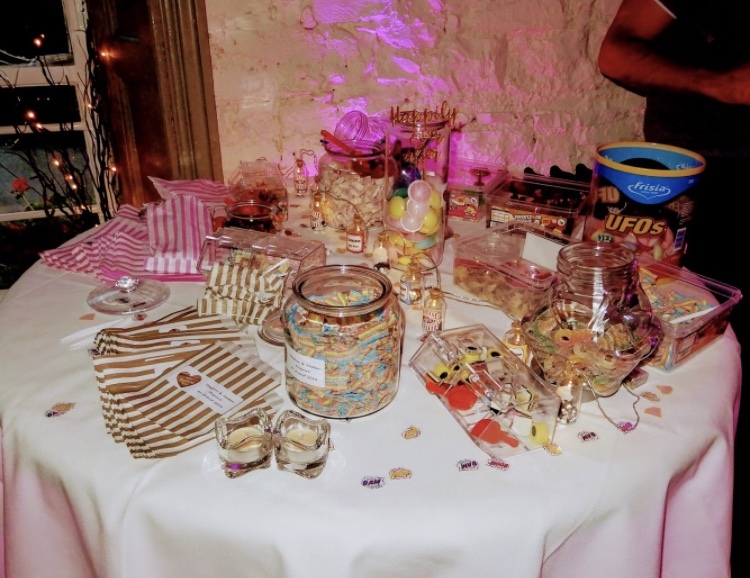 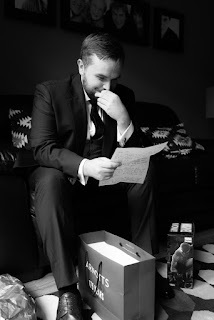 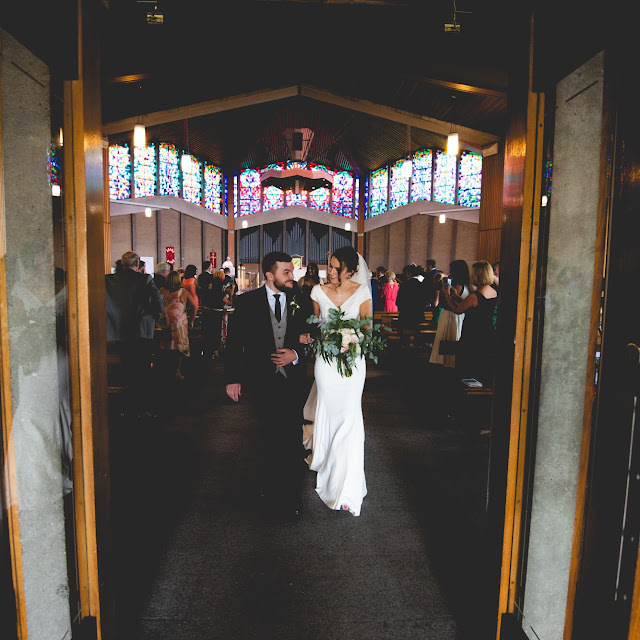 "Our wedding favours to our guests were photo key-chains of themselves in groups of two or three that had been taken outside the Church that morning by Clikring "
"We had a huge sweet table which we made ourselves with personalised sweet bags and jars. 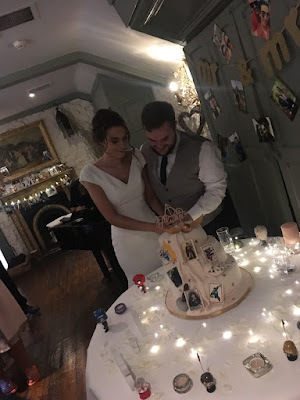 The cake table consisted of different comic book characters and Harry Potter pieces as we are both quite nerdy"
When it came to the planning, Jordan & Stephan really enjoyed the process as they are both highly organised. 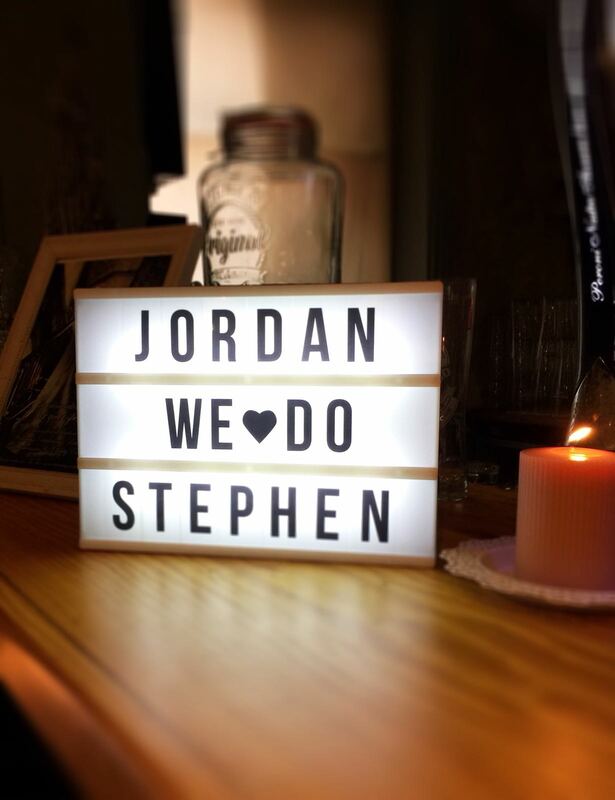 Jordan is a secondary school teacher and Stephen is a University recruitment coordinator. 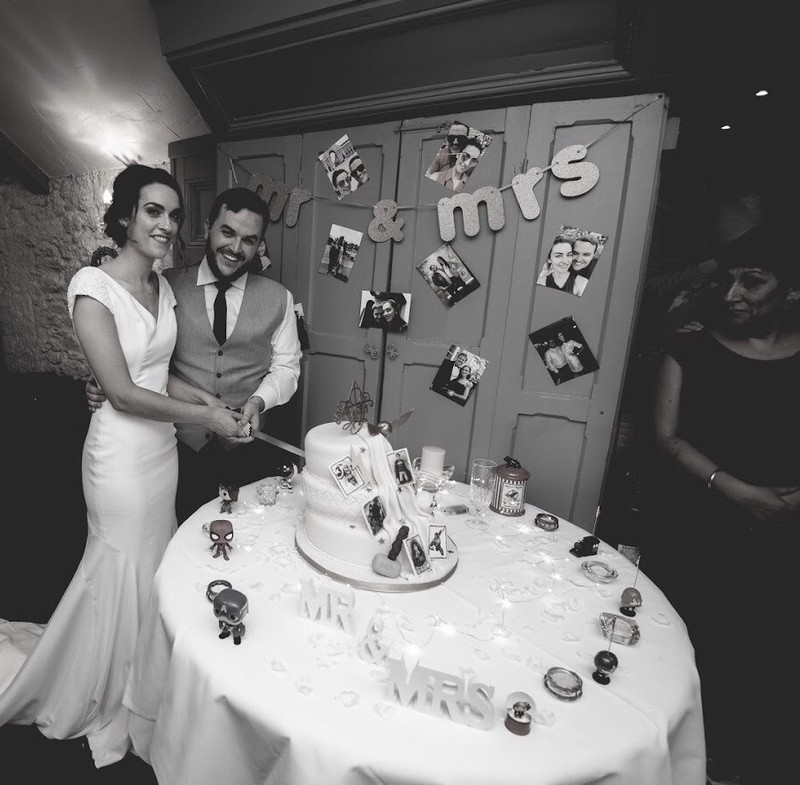 Being organised and planning is part of the norm with this couple. "We thoroughly enjoyed making our lists and ticking them off as we went along! We both planned everything together and helped each other out as much as possible"
Stephen and Jordan had navy with hints of light pink as their colour scheme. Their theme was rustic with a vintage feel. 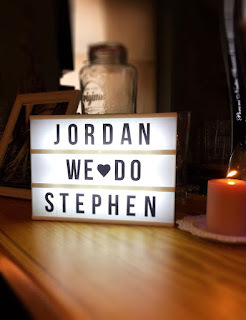 Jordan and Stephen traveled around for their honeymoon. 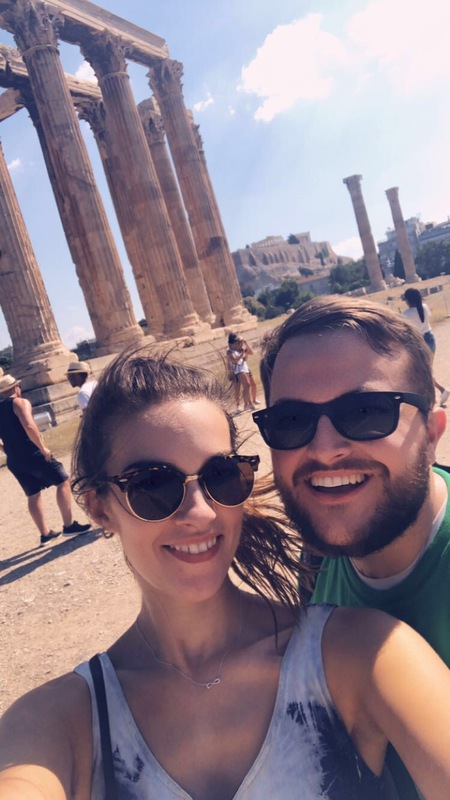 First stop was Athens for three nights. 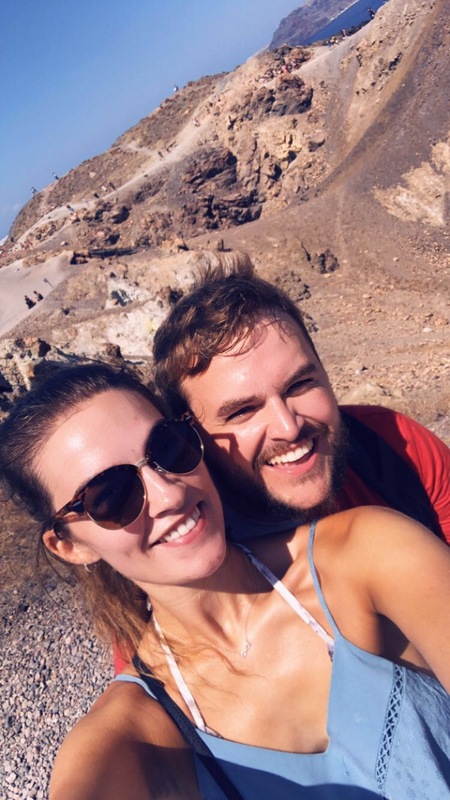 They love exploring new places, the cultures and history. 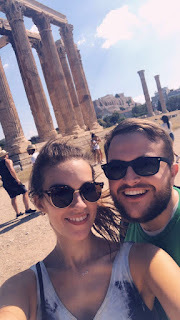 They climbed the Acropolis, went to the temple of Zeus and they did tours of the markets and other ruins. "Then we went to Santorini for 11 nights. We relaxed for a while by the pool and watched some beautiful sunsets before we went on more adventures, climbing the dormant volcano in the Caldera of Santorini, walked along the black sand beach of Perivolos, swam in the Aegean Sea, visited the ancient ruins of Akrotiri, explored the towns of Fira and Oia"
"We wouldn’t change a thing, it was the best day ever"
So there you have it Jordan and Stephen's wedding story. A very special story and connection. The food at this venue was excellent, as was the service, many of our friends and family still rave about it. 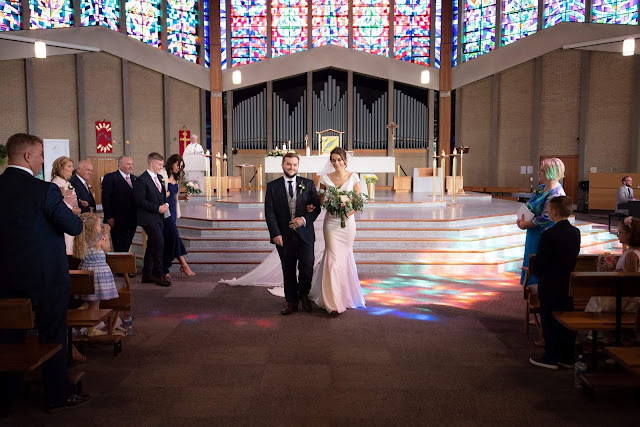 My wife and I highly recommend this venue. 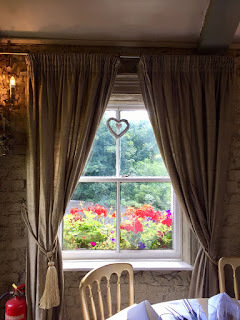 We came to venues in Los Angeles again for dinner and everything was again good and the service was extremely fast. Honeymoon is the period which will help the couple to start the new journey of the life. 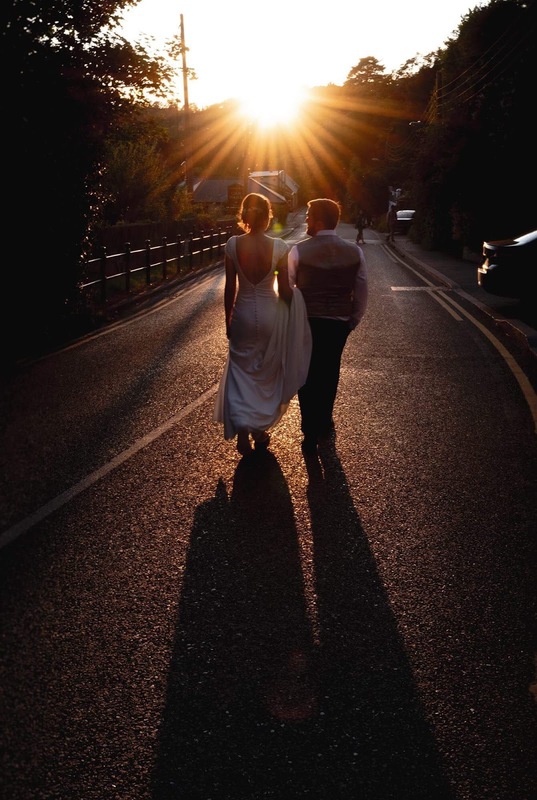 This will help the couple to understand each other as much as they can. 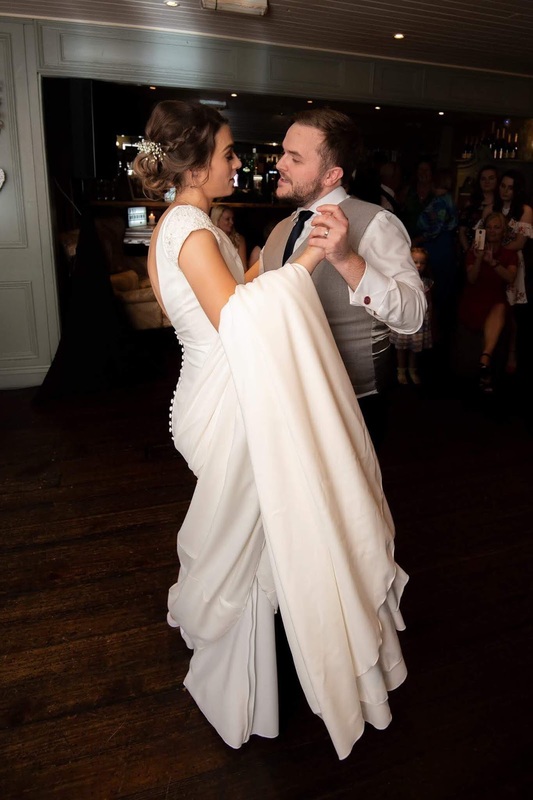 This will help the couple to have the best time with each other. 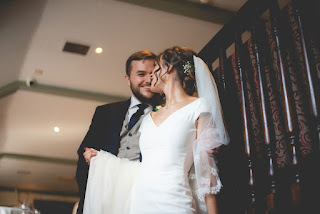 Honeymoon from https://www.shimlakullumanalihoneymoon.com/ is so much assential for every couple to have a best starting.